There is so much to do in Belize during this time of the year. So much eating and travelling to do. I’m already packing my bags…it’s time for you to pack yours.For some reason, the Belize Tourism board doesn’t have specifics available on their facebook page or the official site, www.travelbelize.org, so here is what I have compiled. Please let me know if I missed anything!April 27 – 29, 2012 – The 43nd Annual Belmopan Agriculture and Trade Show. Activities like Miss Agriculture contest, rodeos, rides, petting zoos, live music and more. Over 20,000 people from Belize, Mexico, Guatemala and elsewhere attend this event over the weekend. First or Second weekend in May, 2012: 19th Annual Cashew Festival in Crooked Tree Village, about 30 miles north of Belize City. 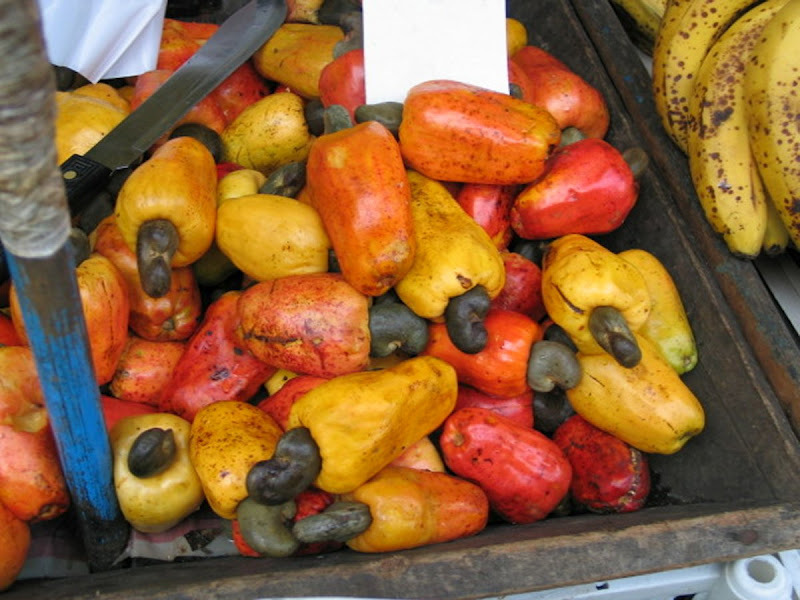 The cashew isn’t just a nut…there is a huge fruit attached that is used to make jellies and wine. Aren’t they pretty? Enjoy music, dancing and artwork. 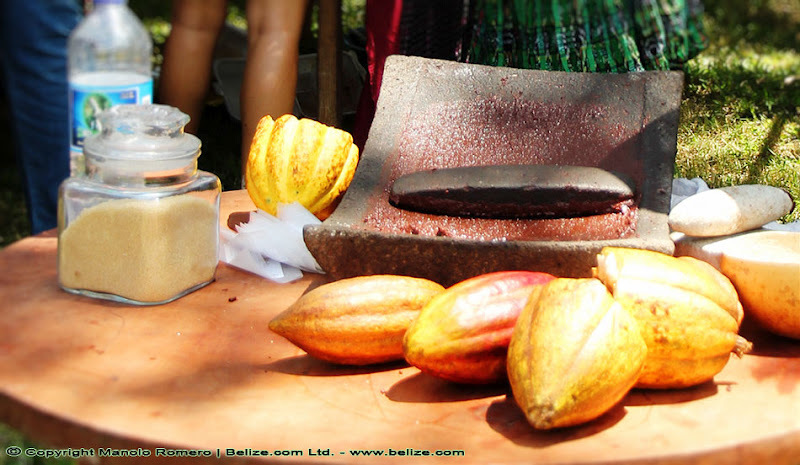 Hop on a bus from Belize City or Tropic Air’s new flight to the nearest airstrip in Orangewalk and check out how they harvest and hand crack this tough little nut that is so popular in Belize and around the world. May 12 and 13, 2012 – The 8th Annual Ambergris Caye Lagoon-Reef Eco-Challenge. A 2 day, 42 mile kayak race that ends in Central Park, San Pedro with a HUGE afternoon party. Music, beer and food and good times. I always love this event. 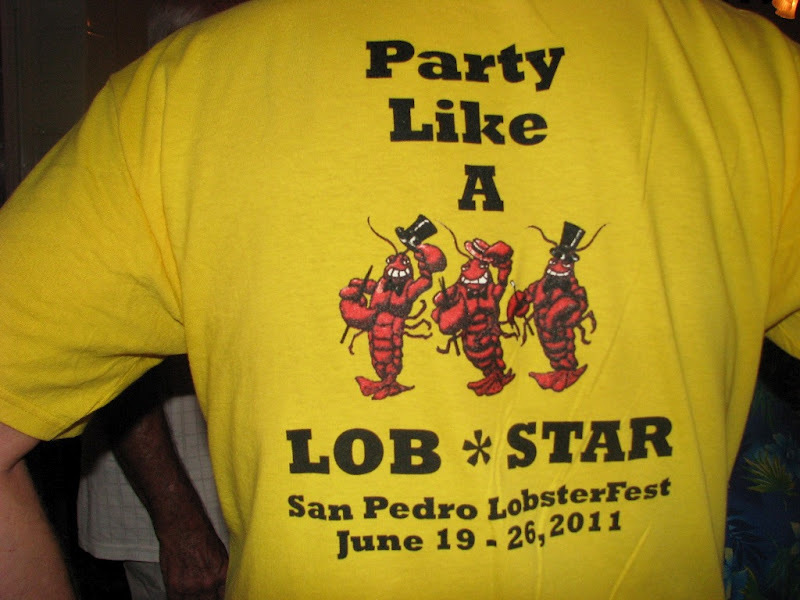 June 15- 23, 2012 – The San Pedro Lobsterfest. Growing bigger since the inaugural bash in 2007, there is something to do each and every day of the week. It all culminates in a HUGE block party…music, dancing, eating, drinking, good times. I am sure this year will be the best one yet. For more information: San Pedro Lobsterfest. It’s your chance to party like a LobStar. Book rooms as soon as you can, we get lots of visitors. This is the official t-shirt from last year’s party. Snagged from TacoGirl. June 23, 24 and 25, 2012 – The Placencia Lobsterfest. 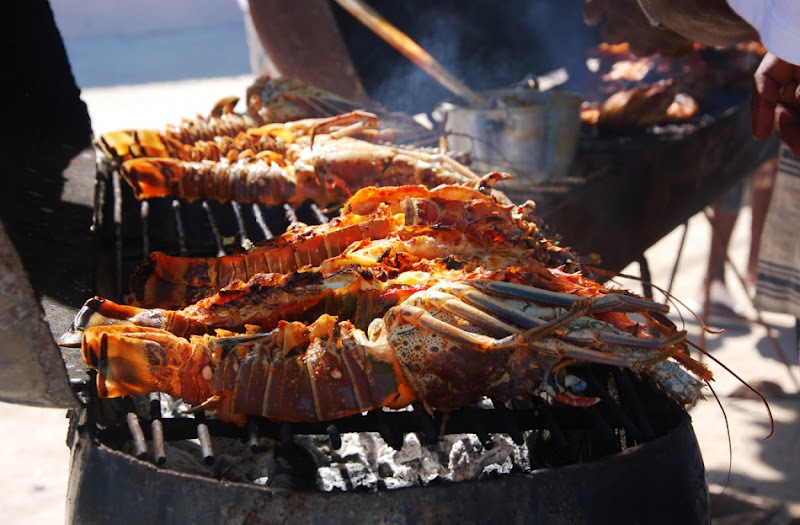 Head south to 14th Annual Placencia Lobsterfest and party some more! Check out Placencia Lobsterfest (or their facebook page) for 2011 information and…I’m sure…updates coming soon! June 27, 2012 – Dia De San Pedro or San Pedro Day on Ambergris Caye. A three day celebration of San Pedro’s patron saint, St. Peter, and our town. There is an early morning boat parade, a special mass and parties and cultural celebrations. June 29, 30 and July 1, 2012. The Caye Caulker Lobsterfest. The smallest town but a HUGE event. You will feel like every single island resident is out partying. And they probably are. For more information, keep your eyes on: The Caye Caulker Chronicles or check them out on facebook. AMAZING picture borrowed from amazing photographers at ConchCreative. One more thing: Does anyone know if there is still a jazz/blues/music festival in Xcalak, Mexico in the late spring/summer? Would love to add that to my list. And attend! But these events in Belize should keep me busy enough. Renting a Home on Vacation: Why Didn’t I Ever Think of That?